Complete stonework solutions, ensuring exceptional quality and innovative design. Meister Masonry is an award-winning stonemasonry company that provides a complete range of services from stone selection through to installation, completion and after-care advice. 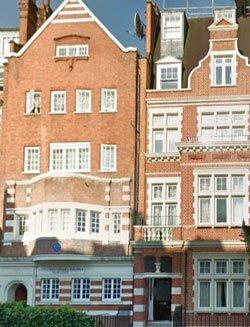 We specialise in external facades, hard landscaping, conservation and high-end interiors, working with private and commercial clients on small to multi-million pound projects. 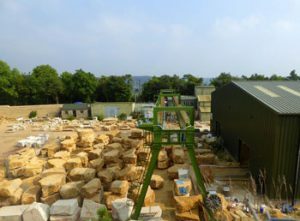 The Company has been in business for over 25 years and accounts for some of the industry’s leading stone specialists, banker masons, designers and project managers. 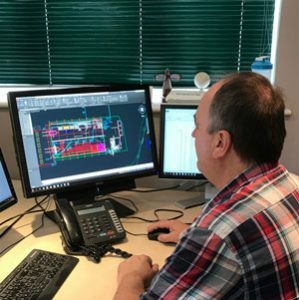 Our highly skilled team are directly employed and driven by a genuine passion for what they do – client care, service and quality craftsmanship runs at the heart of the company. With a strong dedication to client satisfaction and quality, Meister Masonry are currently implementing a third shift and investing in a new line of machinery which will increase output from 30 cubic meters to 75 cubic meters per week. 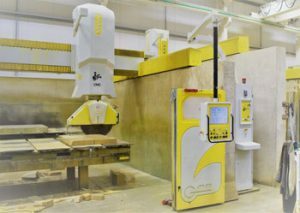 This investment in both staff and machinery will assist with workload demand and help to decrease lead-in times. Through the use of traditional stonemasonry skills and the most innovative design and manufacturing solutions, we strive to deliver projects today that will become the heritage buildings of the future. Meister Masonry is a family owned and managed company and family values run very much at its core. The company places great importance on its skilled craftsmen and employees and actively supports apprenticeships and training. 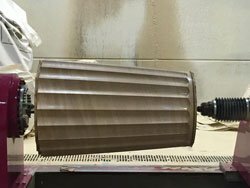 Many of the most experienced masons working at Meister began their careers decades ago, as apprentices with the company – and this culture of learning, training and support is highly valued. 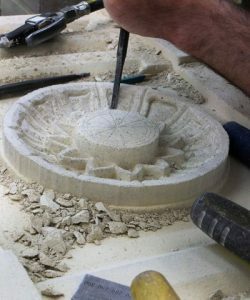 Although Meister operates with state of the art equipment, the company is dedicated to preserving and encouraging traditional stonemasonry skills. 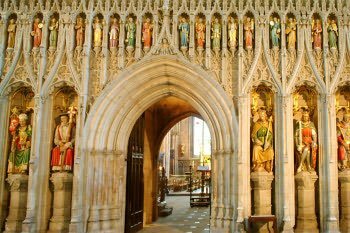 The Norman period in England saw the first of the great Cathedrals being built, and an astonishing display of stonemasonry and carving – much of which has survived to the present. Masons mark their stone with different patterns, each believed to be unique to the individual. 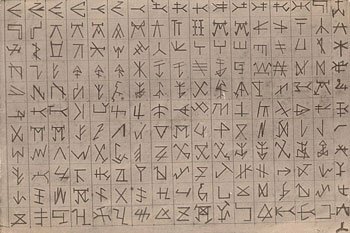 It is thought these marks were to differentiate who produced which stone, and to determine their pay, to indicate the assembly order of the stones and to show the quarry origins of the stone. The square, triangle and circle which are present in the Meister logo formed the basis of many of these marks. 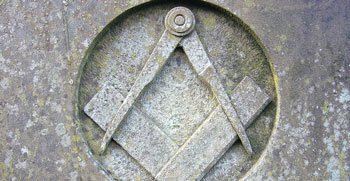 The middle ages saw the emergence of organised groups or “lodges” of stonemasons, which initially began as regulatory bodies and developed into the Freemasons and Masonic Lodges of today. Masons are classed as Apprentice, Journeyman or Master depending on their degree of skill and experience – in Germany these were known as the Geselle, Parlirer or Meister. Following completion of his apprenticeship at Gloucestershire Cathedral having gained valuable experience, Richard who is now Meister Masonry’s MD sets up his business from a converted stable. Behind the Meister Masonry name – Medieval stonemasons believed in a development that grew from their Mastery of Technique, Construction and Style. The ‘Geselle’ had the skills, the ‘Parlirer’ had skills and knowledge and the ‘Meister’ mastered Skills, Knowledge and Creativity. 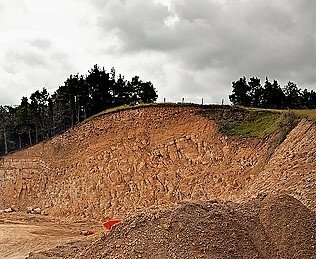 Due to expansion, the company moved to a disused quarry named Catbrain Quarry in Painswick. Meister Masonry expand their drawing office to meet increasing demand. Meister grows to 20 employees and expands its apprenticeship programme. 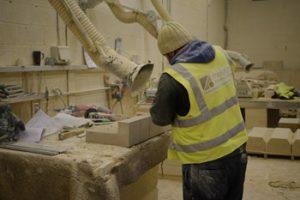 As Meister Masonry’s reputation for quality craftsmanship spreads throughout the UK, they open an office in London. Despite the country being in recession, due to the strength of Meister Masonry, the board decided to invest in a purpose built manufacturing facility covering 2000 sqm. 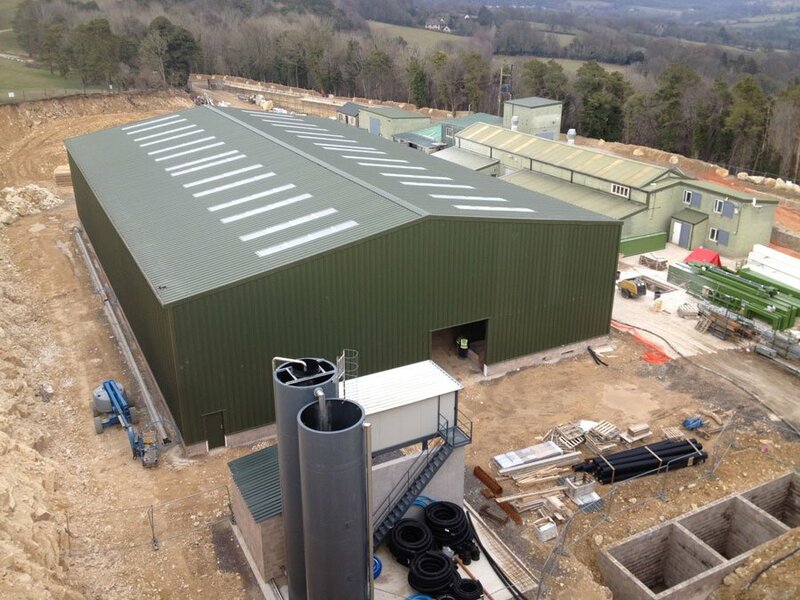 Following the 2011 investment and planning permission Meister Masonry opens its doors to its new UK leading state of the art production facility. Due to the success of the investment in 2011, the decision has been made to make further investments into machinery and employees. Meister will continue to invest in the company and its employees staying at the front of technology while supporting traditional skills. The goal is simple, to ensure the delivery of future heritage buildings for the next generations.